Primobolan is a well-known drug mainly used in the bodybuilding world. It is prefered because it is an excellent cutting agent and is also one of the rare androgen-based steroids that has mild impact on women and beginners. Another ineteresting fact about this steroid is that it is available in both oral and injectable form. The injectable form of Primobolan is known as Methenolone Enanthate. For beginners, this steroid is quite good as it does not have liver toxic factors associatiated with it. In addition, Primobolan does not convert to estrogen even when taken in high doses, so you can have a well-cut ripped body in an easy go. That’s why most of the bodybuilders prefered it over other steroids. On top of that, you won't have to worry about various problems, such as water retention, high blood pressure and development of feminie characteristics for males. Ability to strongly bind with anabolic receptor makes Primobolan a good "fat burner." Clinically, the drug helps in reducing breast tumors. This steriod is a good ancillary agent too like Masteron. Also, just like Masteron, Primobolan does not aromatize which makes it one of the most recommended steroids for muscle gain. According to research, it is reported that Primobolan also acts as an immune enhancer and that’s why this steroid is of great help for AIDS patients. You know that AIDS patients do not commonly need bulking drugs. You know that AIDS patients require muscle gain in small quantity so an immune enhancer like Primobolan is perfect for them. The drug is primarily used for gaining and maintaining lean tissue. And because of this positive effect, it is widely prefered by bodybuilding competitors who want to retain muscles with a calorie reduced diet. 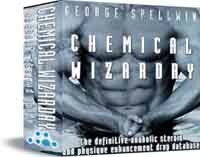 Instantly access the ultimate anabolic steroid and physique enhancement drug database and eBook. Guaranteed to provide you with the inside information necessary to build a perfect body. Now have a fast look to its ill-effects too. Although Primobolan does not convert to estrogen, like other DHT-derived steroids, hair loss remains a genuine problem with it. Other common side effects are caused due to its androgenicity characteristic. Aggressiveness, insomnia, increase in sweating and acne formation on face, chest and back are some other problems realted to Primobolan use. However, these ill-effects often disappear when intake of the steroid has been stopped. Before you buy this drug, just have information of what dosage you required according to your cycle need. Whether selecting the injectable one or the oral dose, one thing should be kept in mind always that it is good if you avoid using Primobolan alone. Being an effective cutting agent, the drug doesn't convert to estrogen no matter what dose you take. The normal Primobolan dosage is between 300 to 600 mg per week (for injectable form) and 100 to 150 mg daily (for oral). For females the dosage is 50 to 100 mg. Unfortunately, Primobolan is not only an expensive drug but is also the most commonly faked steroids available in the black market. Because of this, it is advisable to buy the drug from a respected underground lab instead of other sources. I'm thinking of doing a course of: Sustanon 250 x 6 weeks @ 500mg / wk Primobolan Depot, starting a week later, x 6 weeks @ 300mg / week. Tennis elbow - Sustanon & Primobolan. Information please - A close friend of mine has decided to take his first cycle of Sustanon and Primobolan, 6-8 weeks. how many mg of primobolan to get same affect of 250mg sustanon? U can be confident it is legit..... The man will not risk his rep for fake or bad gear. Does anyone have experiences with this stuff http://www.bodyworks-nutrition.com/p...n-acetate.html. 100mg Metenolon Enantat http://img.villagephotos.com/p/2007-6/1265893/ScheringPrimo.jpg Can get closer if need be. © Elite Media Management LLC. All rights reserved.